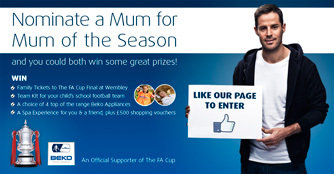 Beko, has taken to Facebook to launch ‘Beko Mum of the Season’, its search for the UK’s premier football mum. As part of the brand’s FA Cup activation to bring The FA Cup to children and families across the country, Beko is embarking on a nationwide search for a mum who always goes the extra mile for their child in the name of sport. Whether that’s driving her child and their teammates to matches every weekend or volunteering to wash the entire team’s muddy sports kits, the competition will highlight those mums who deserve rewarding. 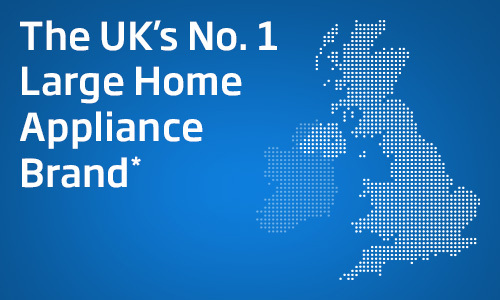 Teresa Arbuckle, Marketing Director at Beko plc comments: "When we became an Official Supporter of The FA Cup earlier in the season we were very clear that we intended to use our status to bring the enjoyment of the competition to the entire family. Behind every successful footballer are encouraging parents who support them, take them to practice and wash the muddy kit!" 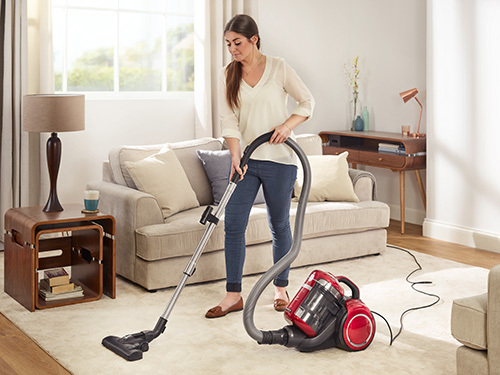 "With this activity we are highlighting the lengths that mums to go to support their children and reward them with some truly fantastic prizes including Beko appliances to help them in their homes every day. 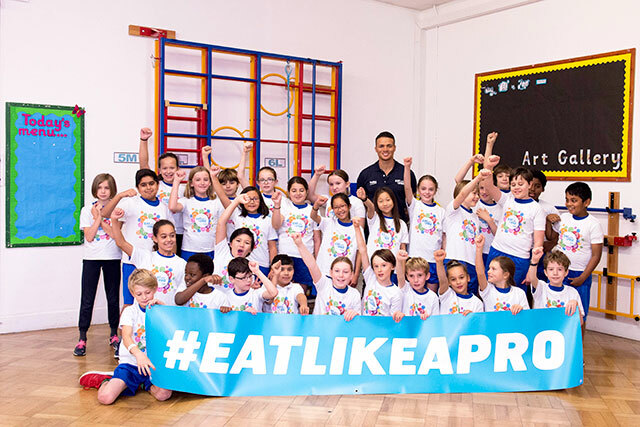 We are a leading appliance brand in the UK and want to showcase the endeavours of mums who are also leading the way when it comes to promoting sport." To be considered for the title 'Beko Mum of the Season', candidates must be nominated by a friend who gives reasons why they should be the ultimate winner. When chosen, the winning mum will receive a collection of prizes including FA Cup final tickets for them and their family, football kits for their child’s school team, a suite of Beko products and a spa experience with £500 shopping spree. The friend who nominates the winning mum will also win their own range of Beko products and will accompany the winning 'Beko Mum of the Season' on the spa and shopping trips, giving friends the perfect incentive to submit a nomination. The competition is fronted on the Beko Mums United Facebook page by Beko's ambassador for its FA Cup activity, dad of two and Sky Sports pundit, Jamie Redknapp. This will enable the brand to continue to talk to its audience of mums and build awareness amongst its Facebook fanbase of over 75,000.